I can't believe how clean you have it in the Winter Pic....heated wash bay? SWEET TRUCK! 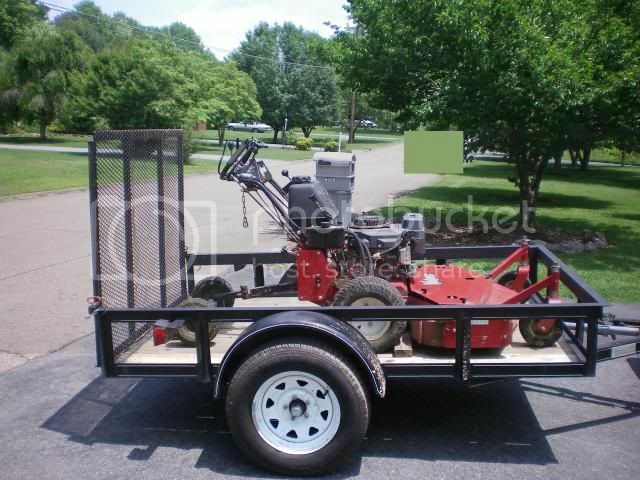 here is my 7x14ft single axel cross country landscape trailer.it carrys a toro proline 48'' belt, toro 52'' rider z, and a 48'' turf tracer, 8hp litle wonder push blower, 2 catchers for the walk behinds and the bagging system for the ztr. 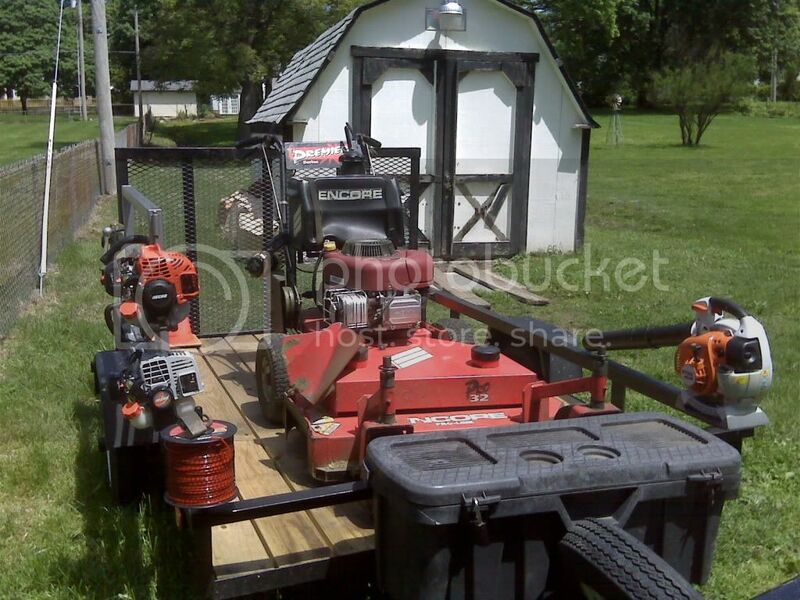 the 21'' toro mower, red maz ebz8001 and eb7001, 2 redmax trimmers and the stihl trimmer and 4 gas cans all go in the bed of the truck. 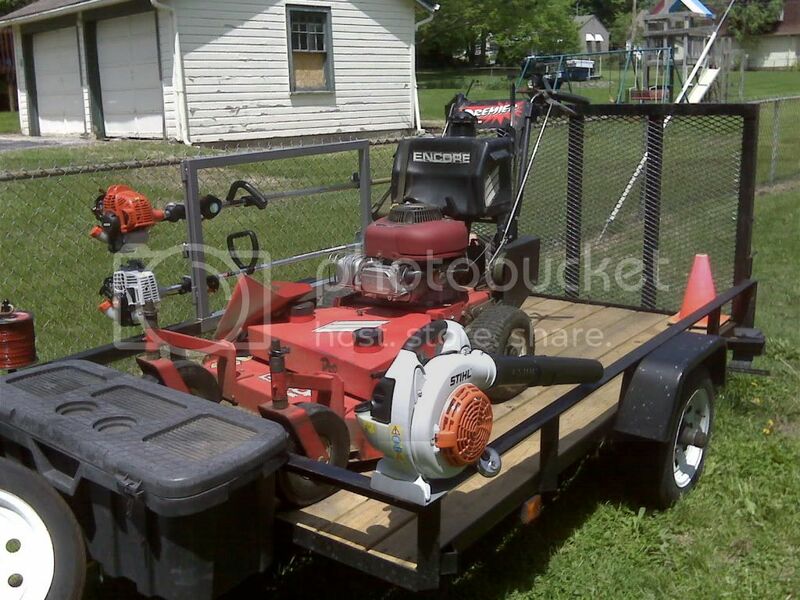 i also have a 6x12ft trailer as well. how about a bump to the top.... Anybody else have any small rig pictures? I would love to see some 5x8 set-ups. I will have to get a picture of my new 5x8 set up for this year.. So anybody else?? I kept it in a shop. So it was clean that day. I sold it yesterday(sad to see it go) But i never used it and it was to nice to work out of. It is now in Mobile AL. lets bring this thread back! anybody else have any pictures to add of their small rigs?? How did you mount your toolbox? 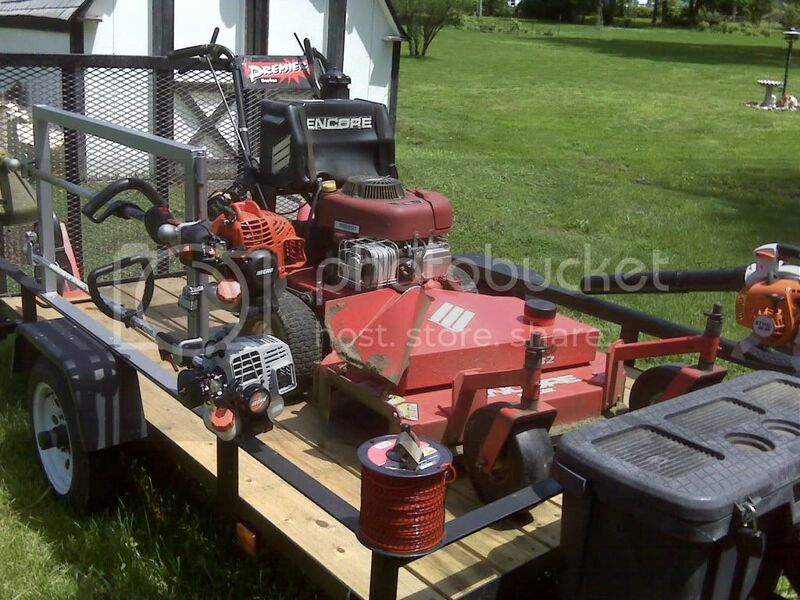 I have a 22 inch push, a 32 inch wb anda wb edger. I can get it all in there but I want to mount my larger toolbox on the tongue. Drill holes and use bolts! So thats what my encore should look like lol. Mines 38 inches and been thinking about restoring it. Just looks old. my trailer is not an A-Frame but nice try. ha I just realized that he is not using a straight tongue.